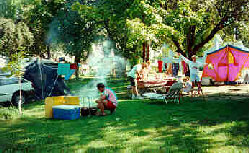 Camping has become increasingly popular among those who enjoy the great outdoors. Just north of Ludington, Michigan you'll find Lakeview Campsite, set among shade trees and overlooking Upper Hamlin Lake. Its location is perfect--with the Manistee National Forest and the Ludington State Park just minutes away. 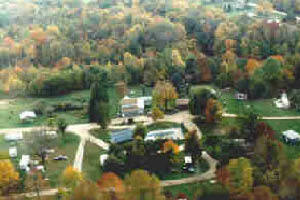 Click here to view the new Lakeview Campsite website. Families enjoy Lakeview Campsite for the activities available for all ages. Swim in the pool, rent a canoe, kayak, or rowboat, and enjoy games such as basketball, volleyball, tetherball and horseshoes. 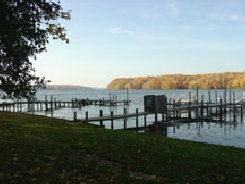 Go fishing on Hamlin Lake, then take your catch to their fish freezer. Kids enjoy the playgrounds, and the entire family can take a leisurely walk or bike ride around the campground. The abundance of trees guarantees a cool, shady place to set up your tent or park your trailer. All sites have fire rings and picnic tables, and you can choose from a rustic site, one with electric, or electric/water sites. Enjoy a hot shower in Lakeview Campsite's modern bathhouse, and pick up all your necessities in their convenience store. Lakeview Campsite is open April-October. If you enjoy gorgeous sunsets and fun, family activities, then consider Lakeview Campsite for your next vacation. They want to make your stay a happy one!